Life isn't a competition, but it seems you didn't get the memo, and you're not packing your seven ounce puffy and your five ounce helmet into a four pound backpack. Weighing in at just over a pound, the Blue Ice Dragonfly 25L Backpack is lightweight and minimalist, giving you the edge you crave to conquer quick alpine expeditions or efficiently haul your gear up an ice wall. 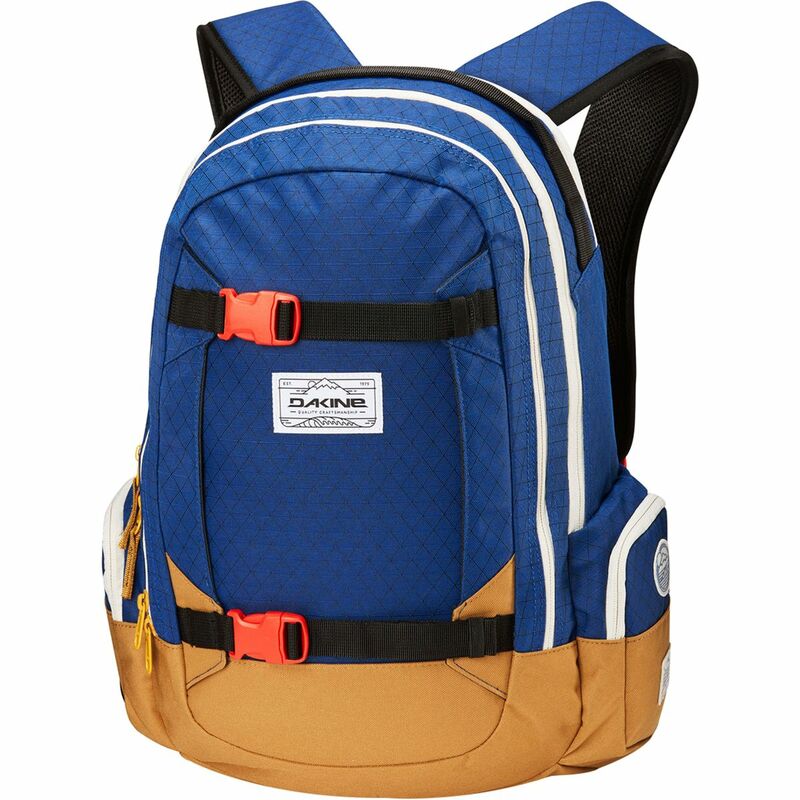 The AeroLight mesh on the back panel and shoulder straps is highly breathable and dries quick, so there's nothing to slow you down, and if you're really shaving off ounces you can remove the waist belt and sternum strap. 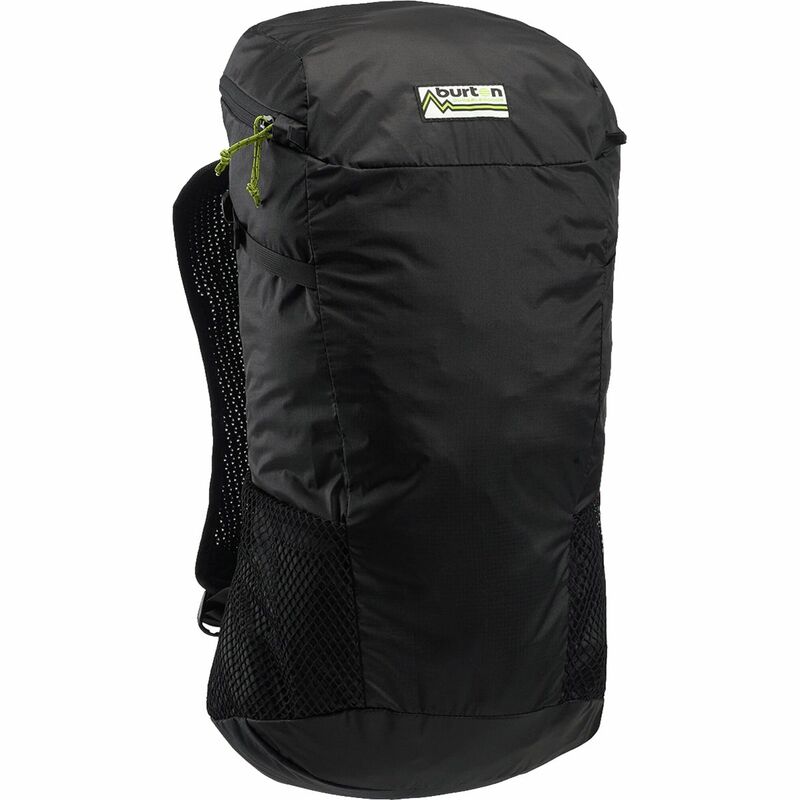 A plethora of simple features make this pack efficient and easy to use while you're roughing it in the mountains. 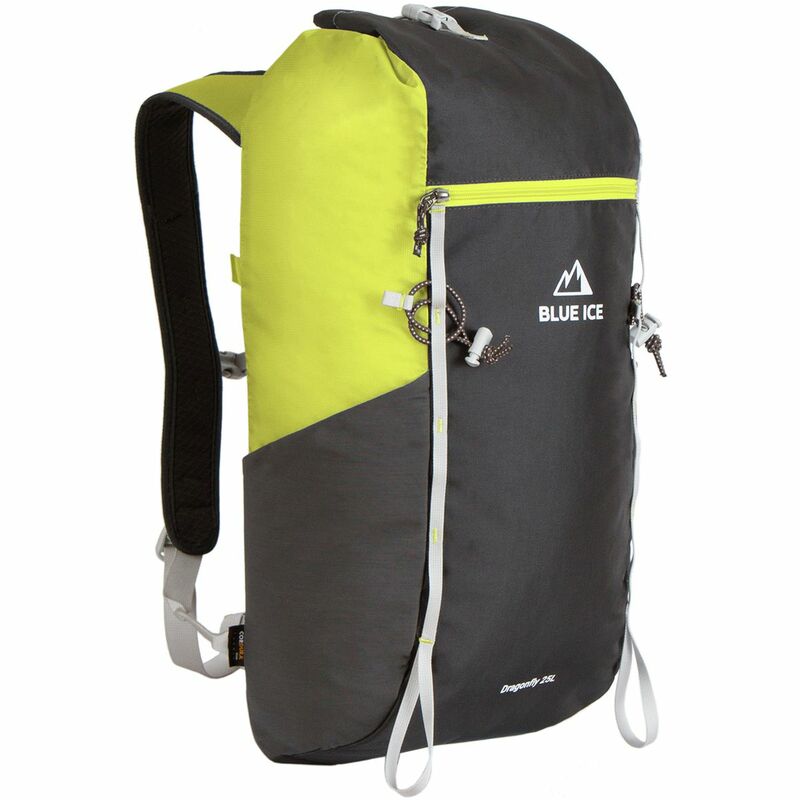 A handy toggle system allows you to open the top of the pack with a single pull, giving you quick access to your down jacket, helmet, and lunch, all of which can easily fit into the wide design, and the closure webbing makes it easy to attach your rope when it's not in use. 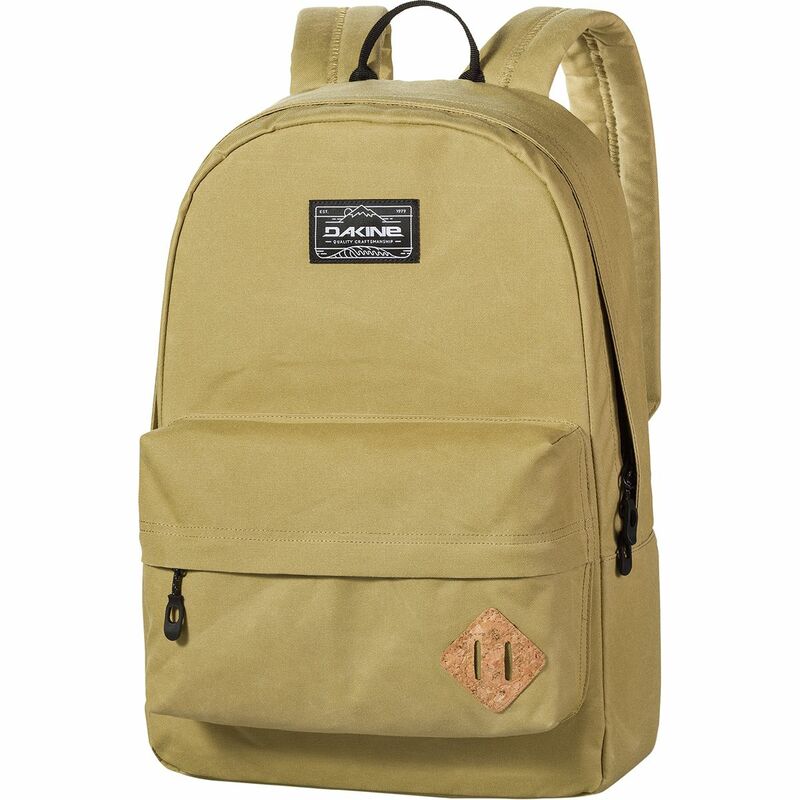 For the snacks and tools you need quick access to, there are daisy chain loops running down the back, a handy back zippered pocket, and two mesh side pockets. 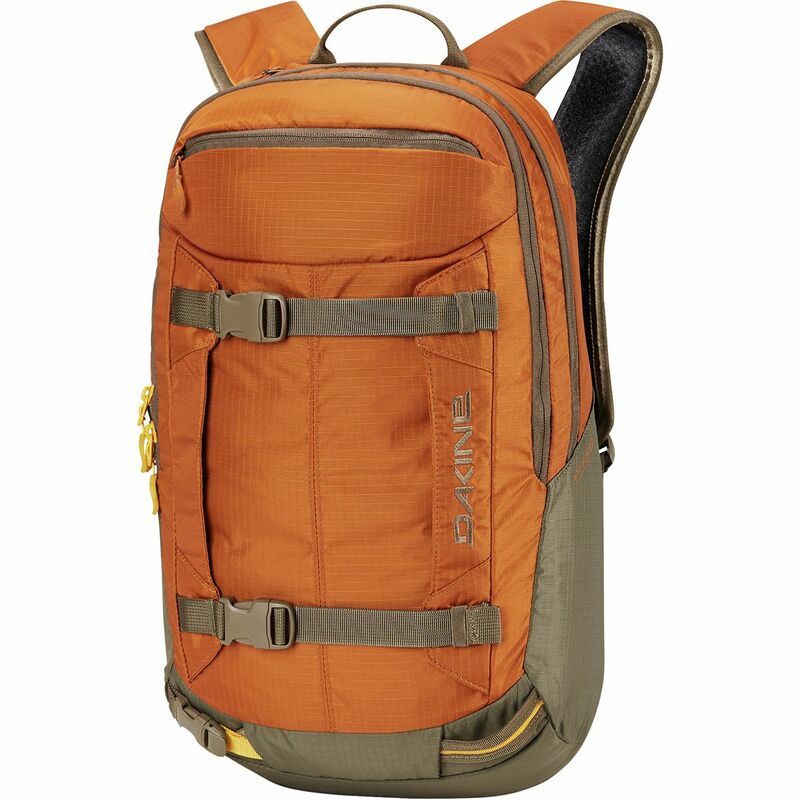 You split your time between the city and mountains, so why shouldn't your pack do the same? 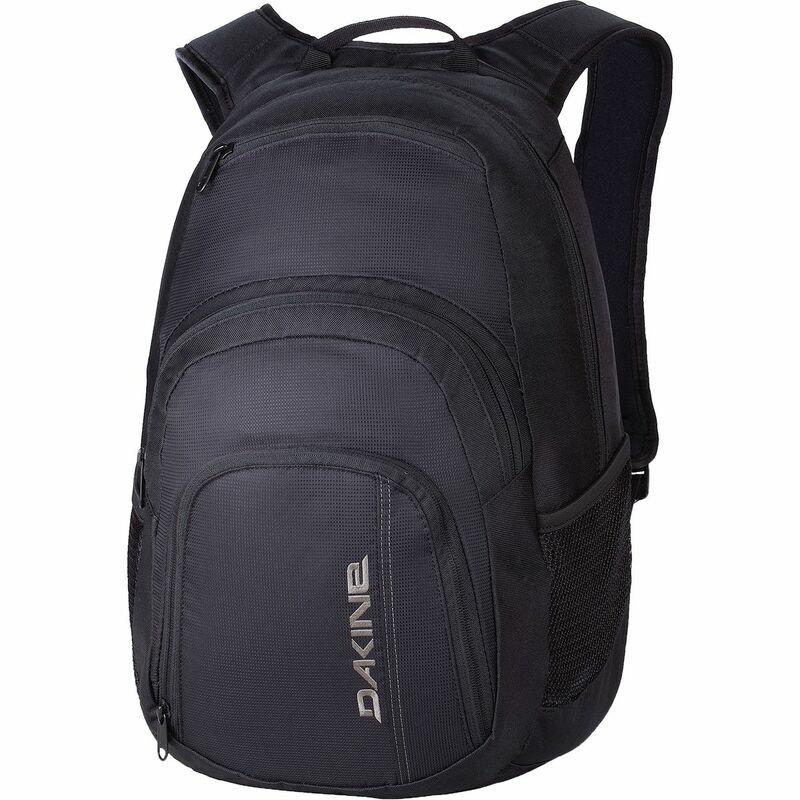 The Dakine Mission 25L Backpack was designed to meet the needs of demanding skiers and snowboarders, but it's also versatile enough to handle daily life. 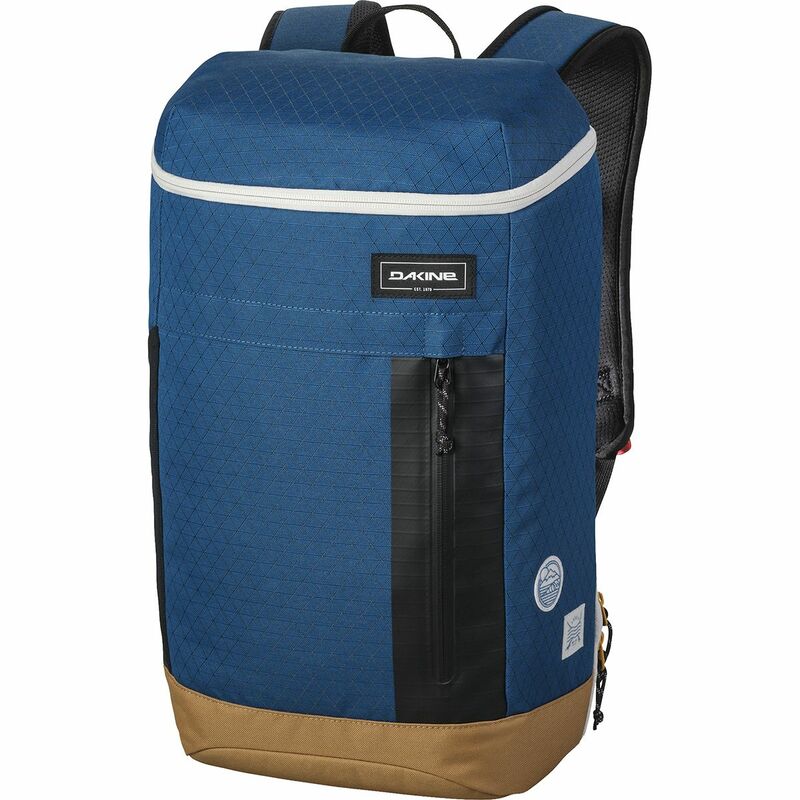 Vertical snowboard carry straps secure your deck as you hike to hidden powder stashes, and avalanche safety tool slots keep you prepared for the worst. 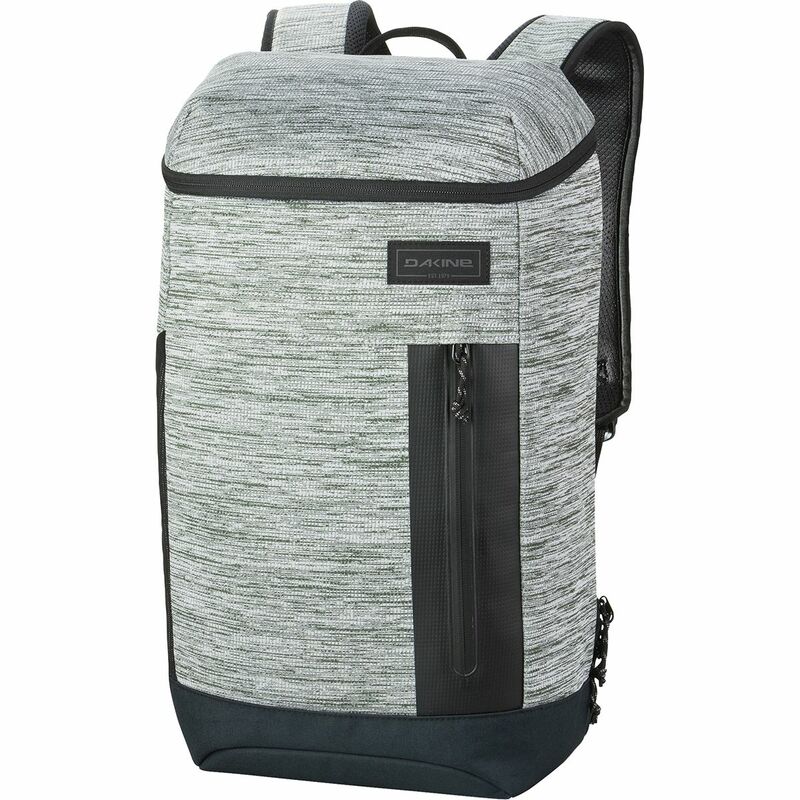 Meanwhile, the padded laptop sleeve protects your computer while you bike to work in the summer, and ergonomic air mesh shoulder straps ensure carrying comfort whether you're gliding through aspen glades or cruising across campus. 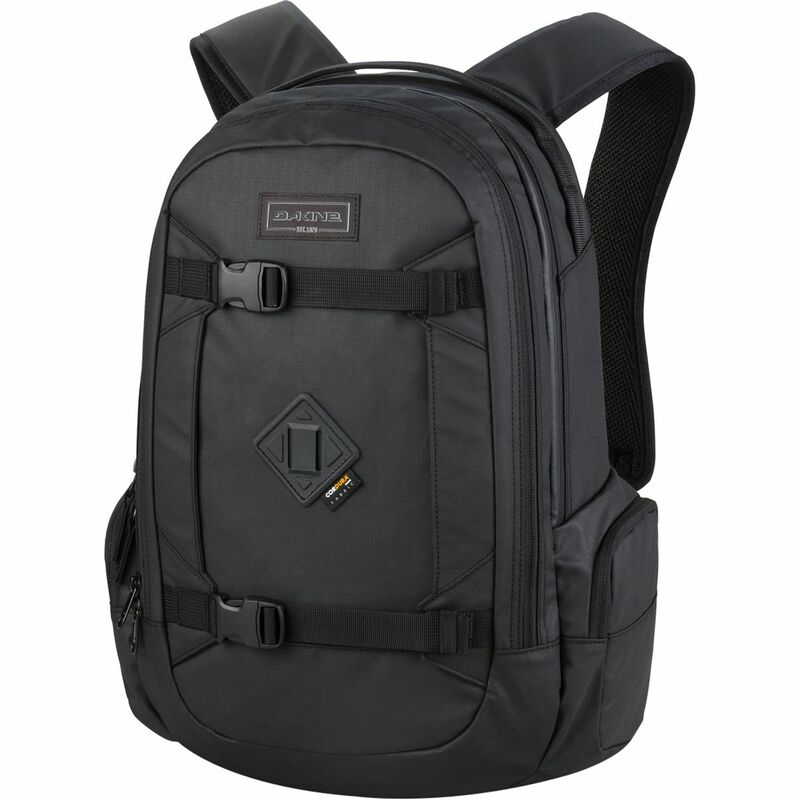 Be sure to capture every sick drop, slide, butter, and doozy of a moment on your next snow-cation with the help of the Dakine Mission Photo Backpack. 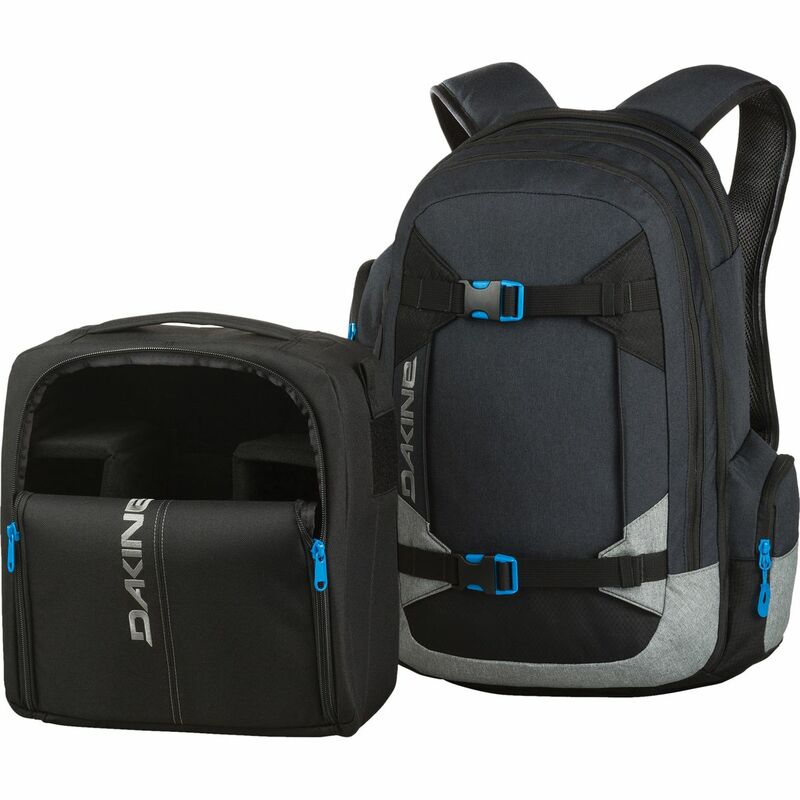 Dakine gave this pack a removable and padded camera block to keep your camera and four lenses safe and secure as you barrel down the mountain or head out for a night of fun in the ski town. 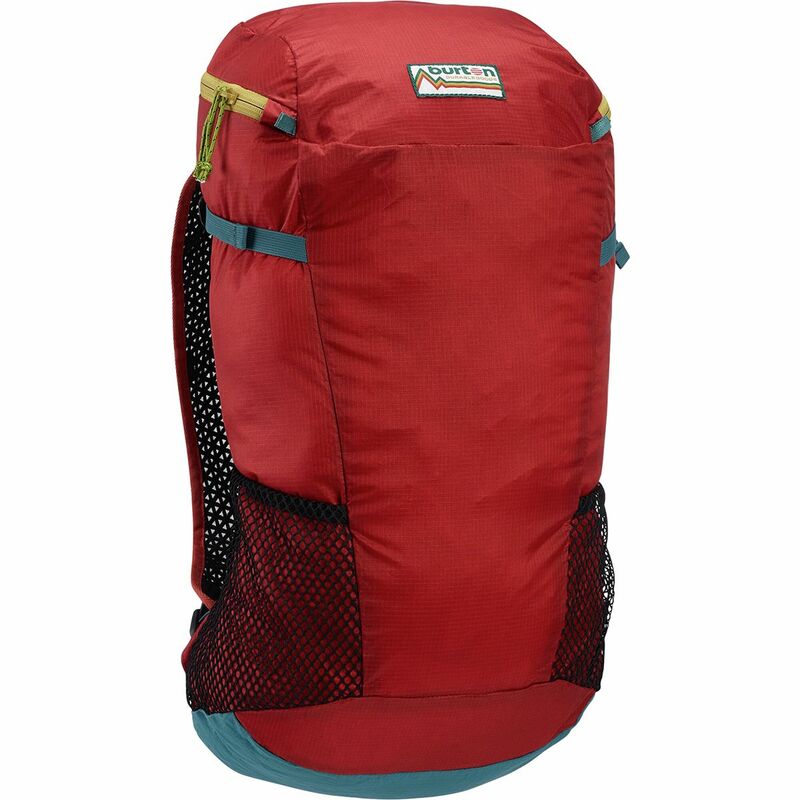 Additionally, this pack features a tripod carry system, while the integrated rain cover ensures your gear stays dry and protected. 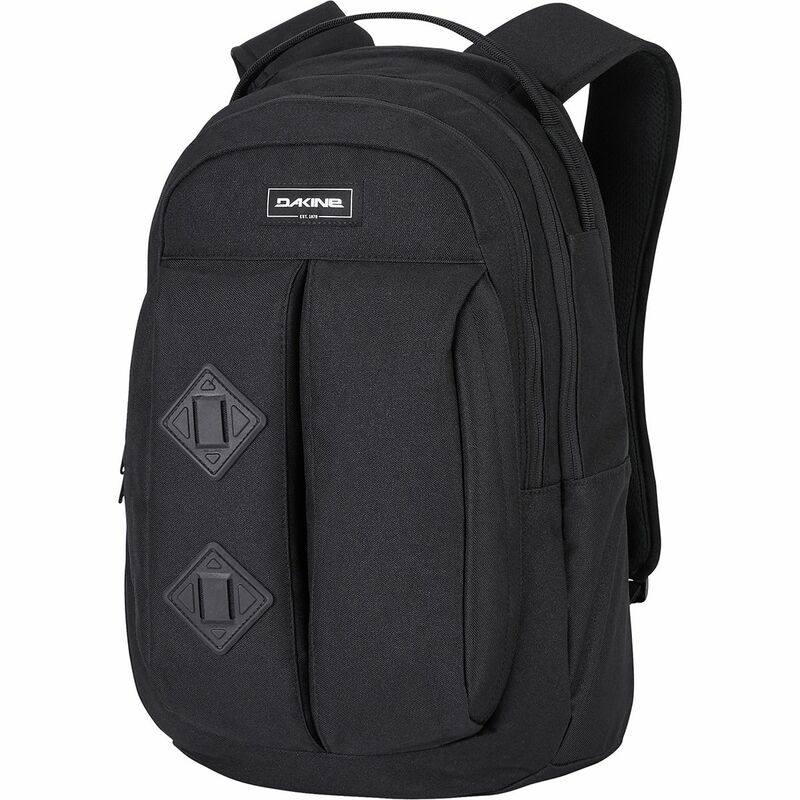 Not to mention, the vertical board straps enable you to boot pack into a more desirable spot to shoot, which means you don't ever have to leave your board behind and miss out on all the fun. 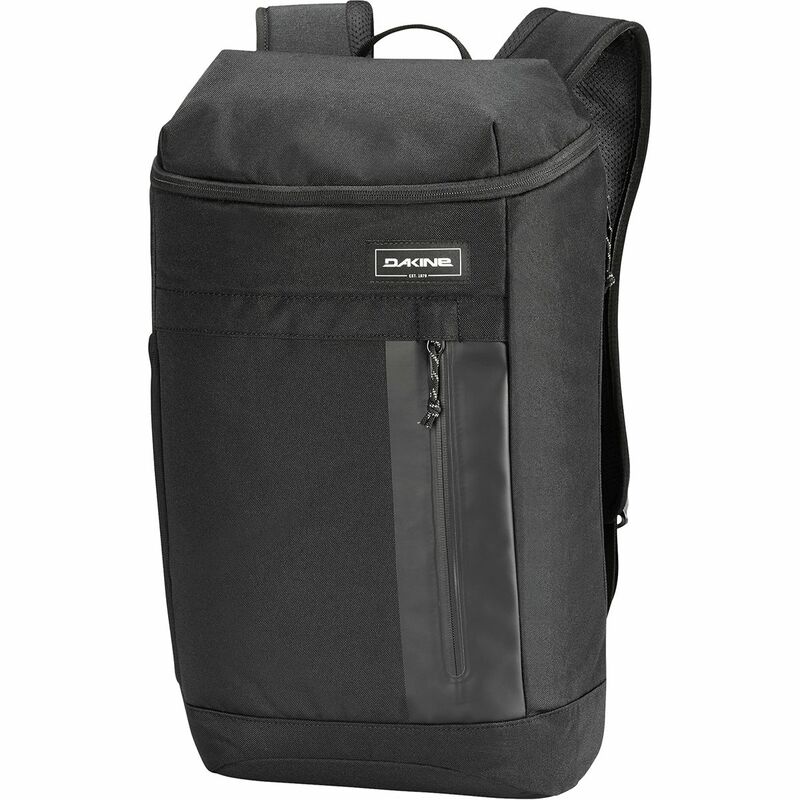 Come prepared for your four hour layover with the Dakine Concourse 25L Backpack. You can stuff this 25L pack full of snacks, entertainment, and anything else you need to get you through those horrendously boring airport layovers. The 17in padded laptop sleeve can be reached from the outside for quick use and will help keep your laptop in good shape--because no one wants to watch movies on a cracked screen. While you watch movies pull your water bottle out of the mesh side pocket and avoid those gross airport water fountains. 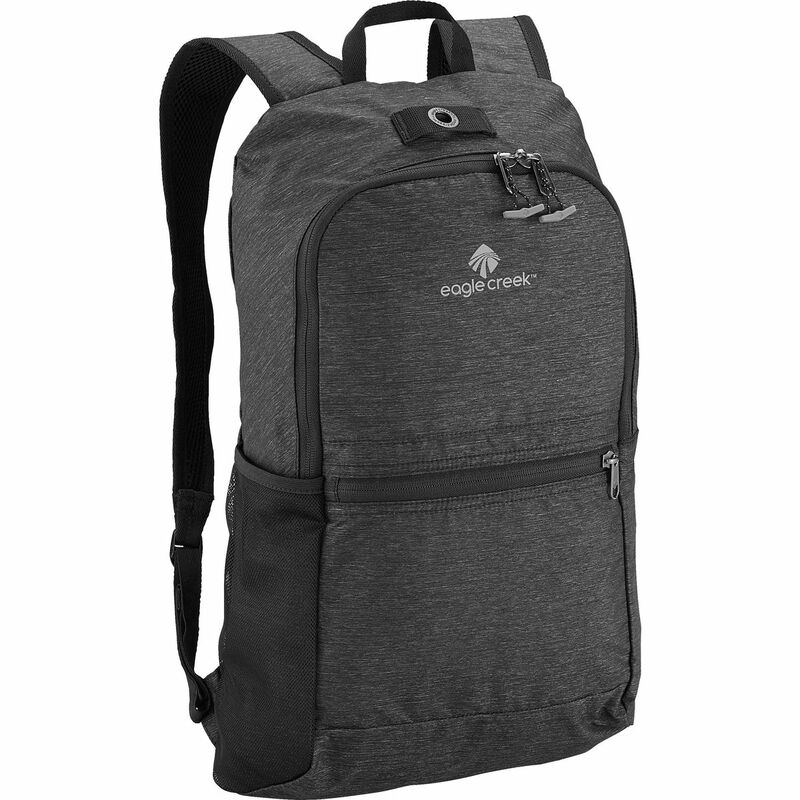 When it is finally time to head to your terminal, the breathable mesh shoulder straps will help prevent you from being the sweaty person on the plane. 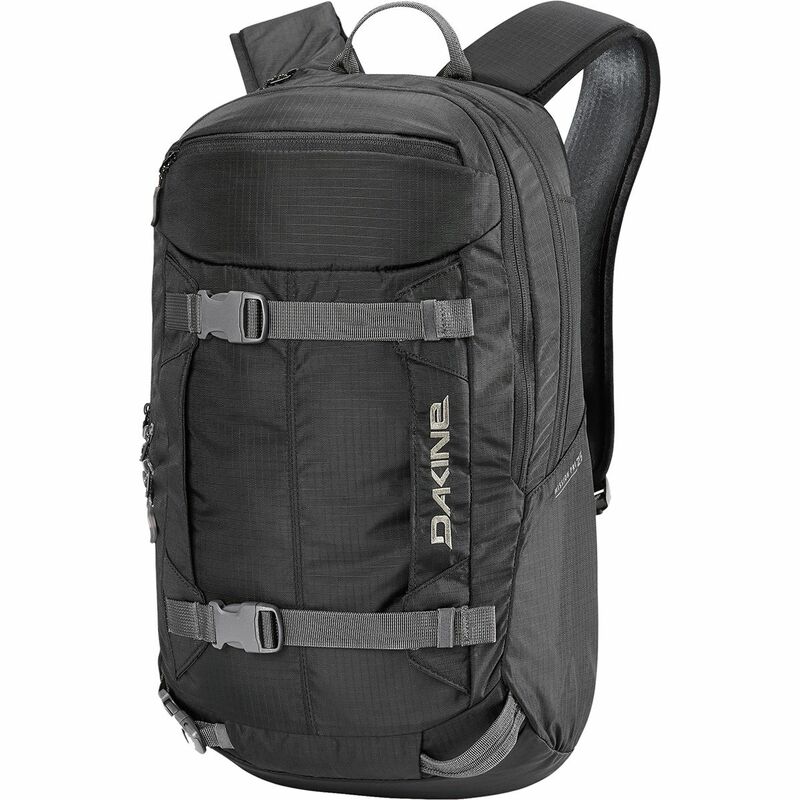 Show up prepared for your next day on hill with the Dakine Mission Pro 25L Backpack. 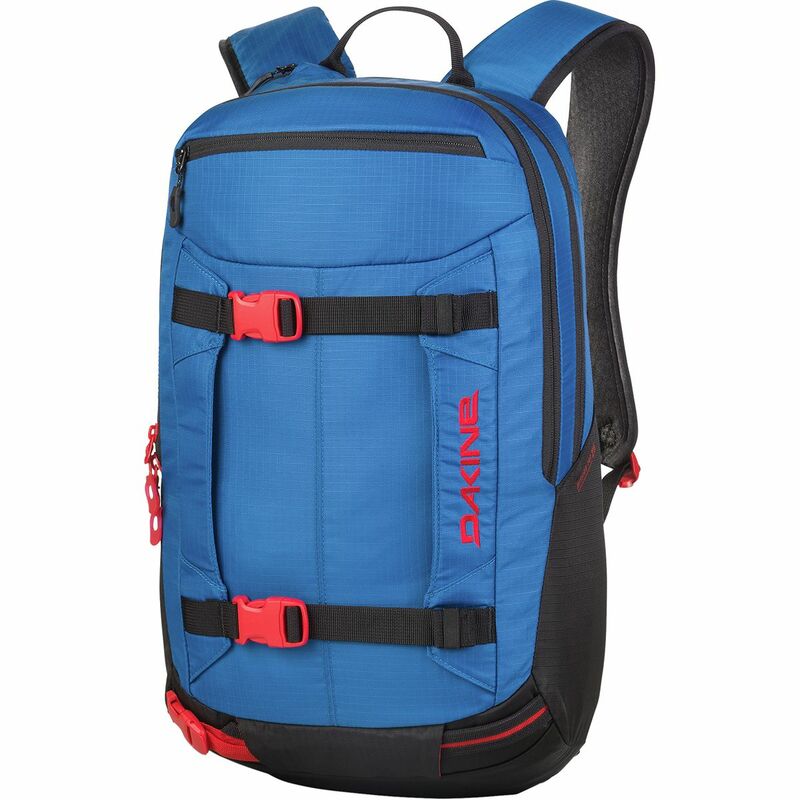 This 25L ski and snowboard pack has plenty of room for your lunch, water, camera, skins, and anything else you may bring to a typical day at the mountain. 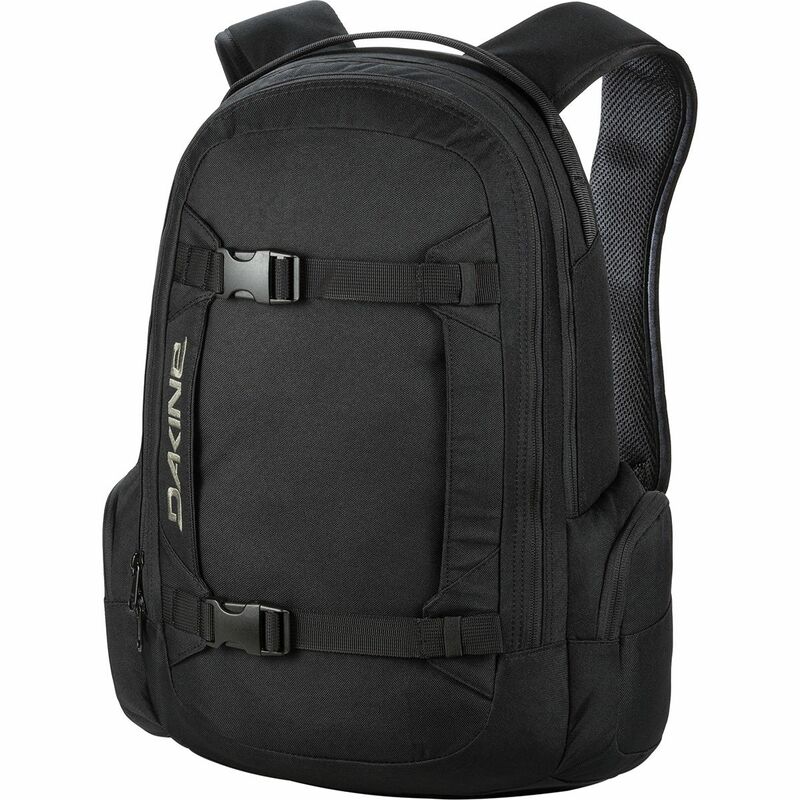 As the powder gets tracked out the Mission Pro is great to earn your turns on the boot pack, utilizing the horizontal and vertical snowboard carry as well as a diagonal ski carry. At the top of that boot pack you can rehydrate with confidence on even the coldest of days with the insulated hydration sleeve keeping your water in liquid form. From there you can watch your friends drop in worry free knowing that the snow-tool specific pocket keeps your shovel and probe easily accessible in case of an emergency. 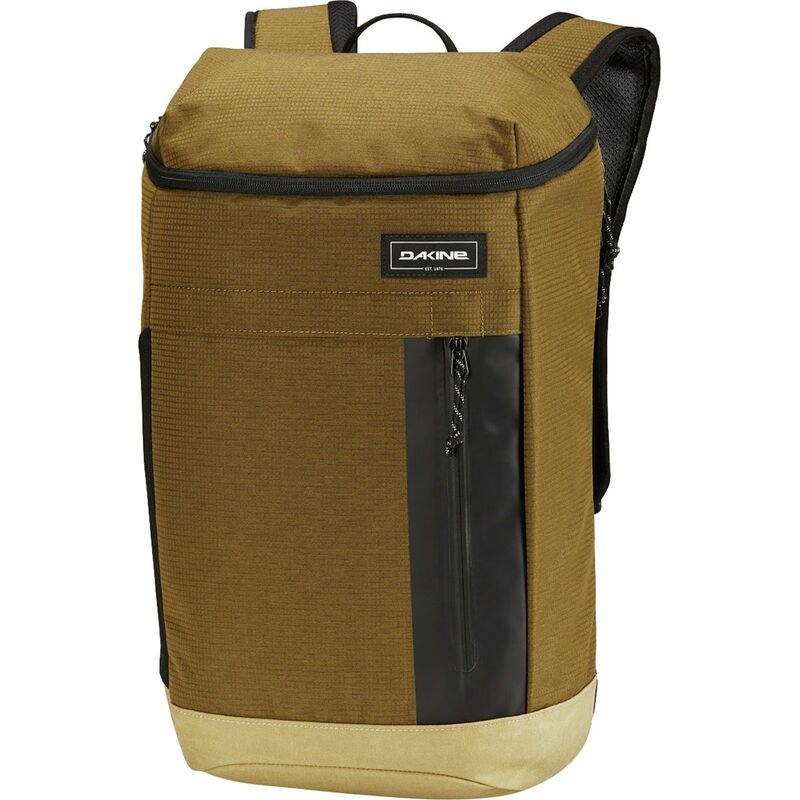 The Dakine Mission Surf 25L Backpack gets you and your gear to and from the beach in comfort. With a seam-sealed compartment that separates your wetsuit from the rest of your gear, you'll be sure to end up with a dry change of clothes whenever you're ready for it. Smaller pockets organize your water, snacks, sunscreen, and other essentials, while a fleece-lined pocket protects the lenses of your sunglasses from scratches. 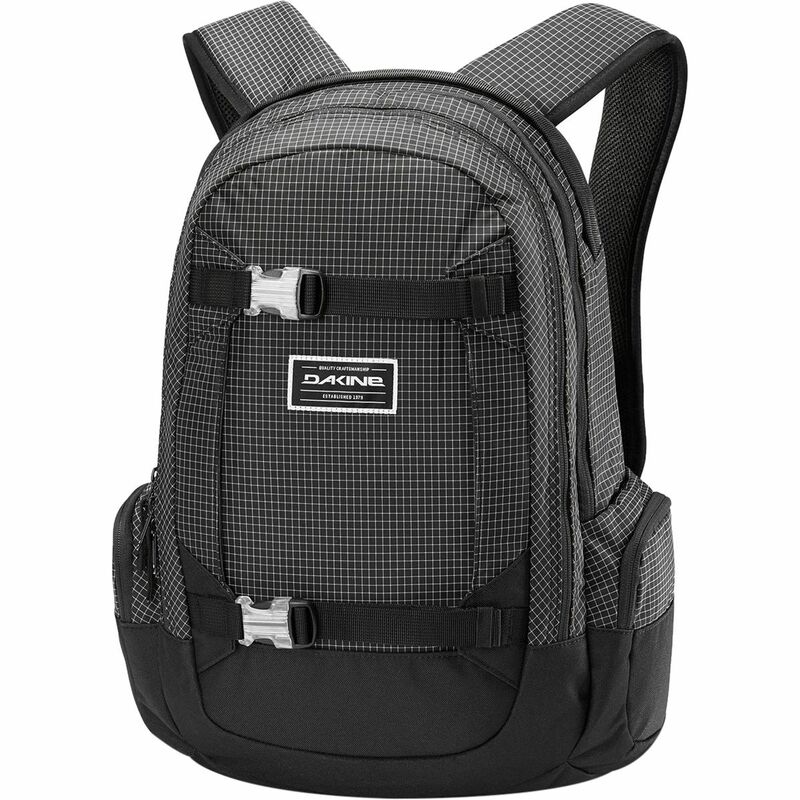 The ergonomic shoulder straps are constructed from mesh to ensure you get plenty of airflow, and an adjustable sternum strap enables you to customize the fit.